New article by Yasser, one of our members who kindly sent us this article. Enjoy! Throughout the last 4 decades, switchgears development was just obvious at a glance. This electrical device which we use when we want to connect, disconnect, regulate or control the flow of electricity in a power system, is a vital part of any medium voltage power stations. That’s why studying the faults and failures reported in switchgears is very important and finding solutions is a main concern for all the companies that produce and maintain switchgears to insure reliability and stability of the power systems. One of the main reasons for switchgear failures is the partial discharge failures which come second in the highest ratio with nearly 26 % after the mechanical failures with nearly 30 %. Therefore we are going to discuss in this article what partial discharge is? How it affects the switchgear? And finally how the measurements of partial discharge help in reducing and avoiding this phenomenon? Partial discharge is that spark which passes through two conductors of a small section of an insulator and converts the insulation to a conductor. It may happen at any location which has breakdown less than the electric field strength. How partial discharge affects the switchgear? Increment of heat because of the resistance increase is one of the results of connecting switchgears in a faulty way. This problem if not being solved as fast as possible and continued for a long time it will lead to thermal failure. This usually occurs at voids, terminals and jumpers. 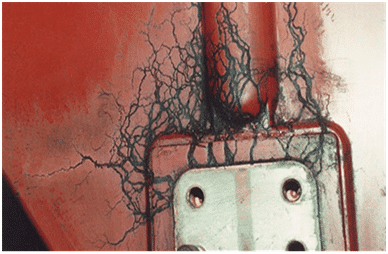 How the measurements of partial discharge help in reducing and avoiding this phenomenon? In detection of the partial discharge, all the ways mentioned above are used. Usually electromagnetic pulse technique is used in off-line and on-line partial discharge diagnostics. As partial discharge is very fast, it produces very high range of frequencies may reach GHz. Experimentally at switchgear it ranges from 1MHz to 20MHz for the detection of most of the partial discharge. 1. Measurement of voltage pulse, using High voltage coupling capacitors. 2. 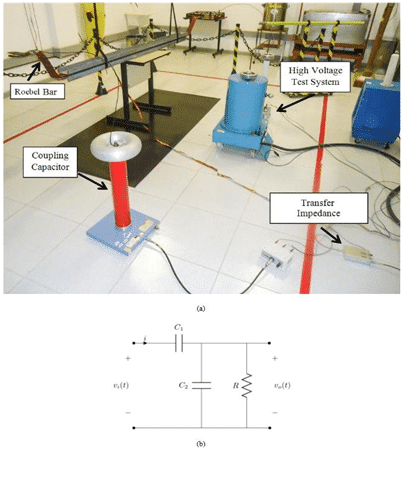 Measurement of high frequency current, using radio-frequency current transformer. The sensors discussed above, which are connected when scheduling the power cut to the line, and the techniques used in partial discharge diagnostics have only one main goal in the analysis of partial discharge. They aim to ensure continuity of service with no failures and low maintenance cost. Partial discharge testing is now required at a lot of countries to be done by the manufacture for quality assurance and that for ensuring that the equipment is not defected. But the environmental conditions where the manufacturer tests the switchgears are perfect despite that which is in practical life where the switchgear humidity and high temperatures are experienced. Max magnitude of the partial discharge. Rate of pulse repetition of partial discharge. Rate of parameters changing of partial discharge. In brief, it is mandatory to make effort in detecting partial discharge, analysis it and do the required maintenance if you want to make the maintenance cost lower and continuity of service is guaranteed. You have questions or remarks? Publish a comment below! or copy this trackback: http://engineering.electrical-equipment.org/electrical-distribution/usage-partial-discharge-measurements.html/trackback from your own site. Very helpful material for electrical engineers . Thanks for sharing.